Lanzarote enjoys duty free status, so it’s a great place if you enjoy a tipple! As you’d expect, you can buy all international drinks and cocktails in the bars and restaurants, so we’ll focus on local ones here. Local beer is brewed in The Canaries, by Tropical and Dorada. They’re both light, lager type beers and are best served chilled. Many people don’t realise that Lanzarote has a thriving wine growing business, based in La Geria, where there are half a dozen small bodegas who make and sell wine. The reds are pretty robust, but some of the whites, using the Malvasia grape are exceptional. And best of all are the Moscatel grape sweet, dessert wines, which are amongst the best in the world. All the bodegas have shops where they can offer wine tastings and wine for sale. At carnival time, everyone drinks Cuba Libre – a rum and coke cocktail, usually made with local Arehucas rum. Again, as a major holiday destination, you can get literally any type of food on the island, so we’ll focus on local Canarian food. 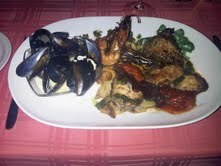 As you’d expect seafood plays a big part on life here, with The Atlantic being on our door step. 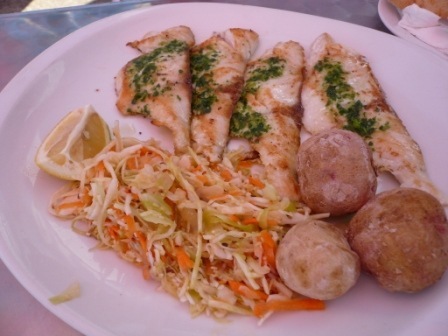 Fish is usually served very simply – split open when “today” fresh and grilled with garlic and olive oil. It’s usually accompanied by Canarian potatoes (Papas Canarias) which are boiled in their skins in very salty water, until the skins wrinkle, and these in turn are served with local Mojo sauce. There are two varieties Rojo (red) which is made with chilli and can be hot, and Verde (green) which is made from coriander. 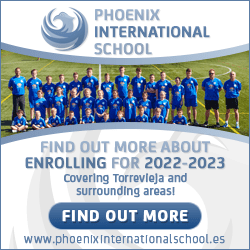 Other seafood specialities include paella marisco and Gambas al ajillo (prawns with garlic) which are served sizzling in a terracotta dish. Meats on offer include every variety of grilled meat – most of which comes from South America and is exceptional quality – and hearty stews known as Estofado. Local cheese tend to be made from goat’s milk and are very mild in flavour. 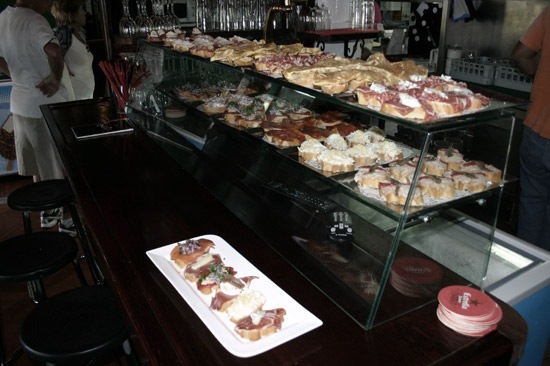 As with anywhere in Spain, tapas is available at most restaurants, and many use glass refrigerators so you can see what’s on offer. You can’t beat sitting in the sunshine with a cold beer and the occasional nibble of tapas while you watch the world go past you!